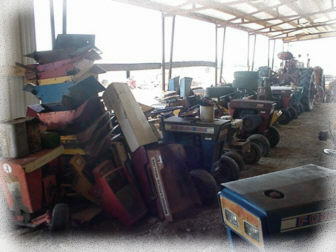 I specialize in complete tractors or salvaged parts for the 1962 - 1969 Minneapolis-Moline models. 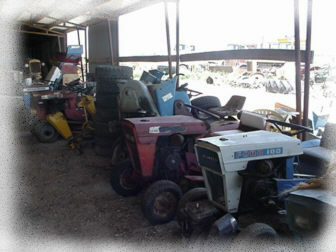 Everything from the 7 hp brown MoCraft 100's to the Town & Country models. Have reproduction grille screens, battery covers, and seat cushions. I have a good selection of parts for 108, 110, and 112 gear as well as 110, 112, and 114 Hydro models. 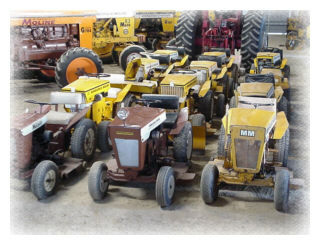 Also, some compatible Ford & Jacobsen parts and garden tractors manufactured during the same era as most parts are interchangeable.